Do You Know the Rules of the Beach? As a Visitor, or a Newcomer, to the Gulf Coast here on 30A, one of the best things to do here is to go to the beach! 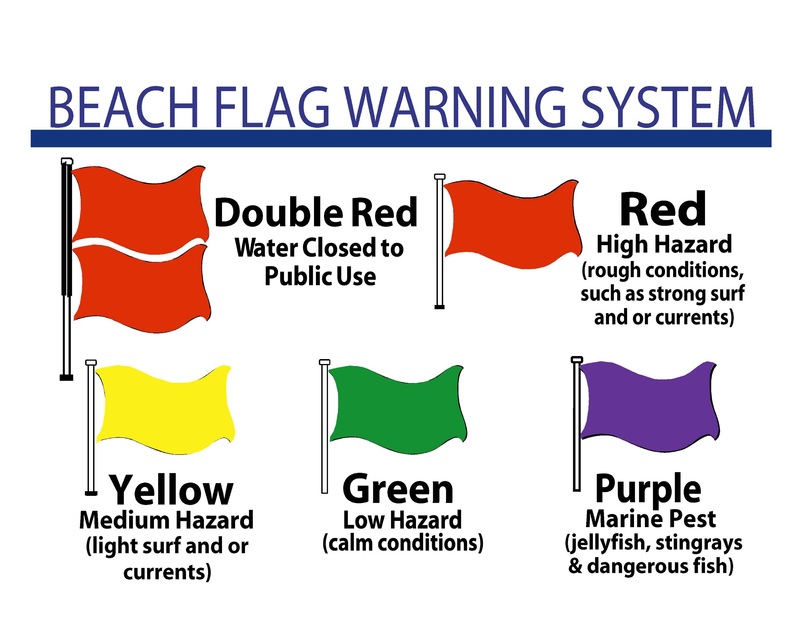 You may have noticed the different colored flags at the beach each day, and if you haven't noticed them, take a minute to locate them on your next trip down to the beach - they are important and could save your life! The colors of the beach swim flags vary depending on the weather, sea life and other conditions affecting the safety of the ocean’s water for swimmers. A green flag means that the water is generally calm and safe to be in. It has few abnormal hazards. That being said, you always need to be careful when in the water, especially with children, as conditions can change quickly. A yellow flag means that conditions warrant a moderate amount of caution. You can still get in the water but stay aware of currents and the surf as they may be stronger than normal. A red flag indicates that getting in the water is highly hazardous as a result of high surf and strong currents. If you have experience swimming in the ocean, you are aware that undercurrents and riptides are extremely dangerous and have stolen the lives of many strong swimmers. Pay attention to red flags and stay out of the water. It’s just not worth the risk. Double red flags mean that water conditions are so dangerous that the water is closed to the public. Stay out of the water, period. A purple flag can be just as dangerous as two red ones. It indicates the presence of dangerous sea life. This most often means jelly fish but it can also mean sharks. While jelly fish can sting you, their stings are not usually life threatening unless you have an allergic reaction or are stung multiple times at once (similar to bees or hornets). Their sting does hurt though! On the other hand, sharks are sharks. If someone has seen one in the water, there’s just no reason to get in and test fate. These flags are a great tool and resource to make sure your day at the beach is as safe and enjoyable as possible as you work down your list of exciting things to do here on 30A. Taking the time to learn the meaning of each color and taking notice of conditions before going into the water is well worth the extra effort! There is a free texting service available to help you stay informed before reaching the beach. Text FLAG to 31279 to get a link daily updates on the flag conditions and know before you go! Glass containers and littering are prohibited. Ask for a FREE Market Report on the SoWal 30A Beaches Real Estate Market. Know what's really going on!